Sunday January 16th 2010 - I was taking pictures of the fountain when I noticed a large bird heading toward me from the west along the Thames .... It was a Bald Eagle. It was moving quickly and turned south and followed the Thames in that direction. 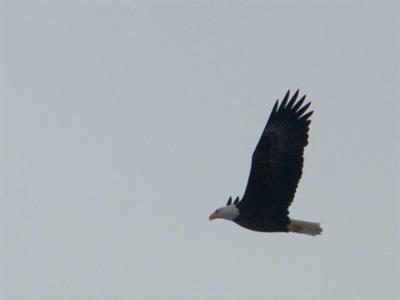 Thanks for the info and picture - I too, have seen Bald Eagles in London, Ontario!